It wasn't too long ago that Hollywood would've never considered movies aimed at women and/or girls to be a safe bet against a macho scifi/action blockbuster starring Tom Cruise, but tide seems to have rather decisively turned. Despite positive reviews and heavy marketing, Edge of Tomorrow is set to spend its debut weekend in a disappointing 3rd place slot, buried by the strong showing ($53 million on a $12 million budget by some projections) by young adult juggernaut The Fault in Our Stars and the continued strength of Disney's Maleficent. 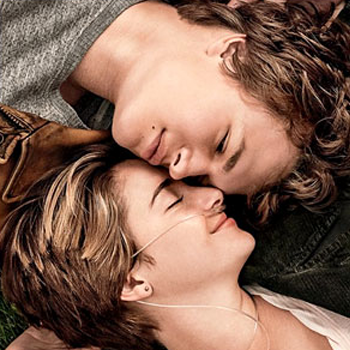 The Fault in Our Stars, an adaptation of a best-selling YA novel about the romance between a teenaged cancer patient and a handsome, disabled survivor, was widely expected to win the weekend (and keep Edge from the top spot) based on a strong showing by the film's aggressive social media campaigning. But seeing the Cruise vehicle (likely) taking the bronze against the week-old Maleficent is something of a shocker. The Angelina Jolie starrer has been overperforming across the board, dropping a relatively light 53% in week two. It's possible that Disney's dark fairytale is the beneficiary of "spillover" from sold-out showings of Fault, as both are targeting a traditionally under-served (in summer months) female audience. Edge is expected to fare better in international markets than domestically. Meanwhile, all rival studios are bracing for next week's arrival of two highly-anticipated blockbuster sequels: Dreamworks' How to Train Your Dragon 2 and Sony's 22 Jump Street.